In the Asian beauty community there is much talk and discussion about how important the pH of a cleanser is and the effects it can have on skin. It's a trend and I'm must say for a good reason, I'm myself in the 'pH craze' as I discovered that pH friendly cleansers work much better on my sensitive skin. I won't go into the details, there are enough bloggers out there that already discussed the subject. The main idea is that by keeping our skin's pH well-balanced with a low pH cleanser the skin barrier will stay intact, keeping bacteria out and moisture in. So, with all the 'pH craze' Cosrx decided to release a pH friendly cleanser to satisfy 'us' customers. With Cosrx I can always count on good product quality and affordability, so imagine how excited I was when found out that they were releasing a low pH cleanser. 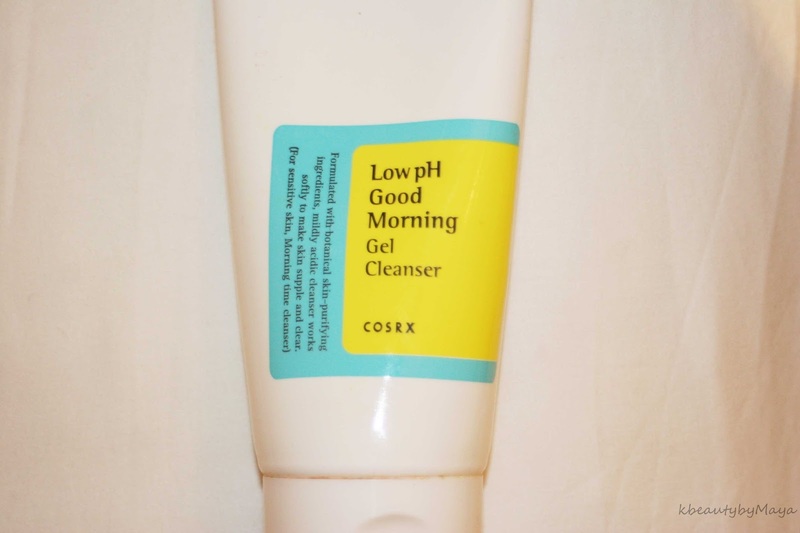 Cosrx product description: The Low pH Good Morning Gel Cleanser is designed with tea tree oil and other natural ingredients including natural BHA ingredient for a gentle but effective formula with a pH of 5.0-6.0. With the optimal pH for the skin, the Low pH Good Morning Gel Cleanser restores the optimal skin balance to reduce irritations. Cosdna analysis shows no major red flags, only Butylene Glycol scores 1 out of 5 as a potential acne trigger. 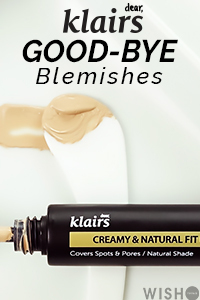 I'm happy to see that the ingredient list is free of common irritants, like Sodium Lauryl Sulfate (SLS), Sodium Laureth Sulfate (SLES) and myristics accosts, all of them tend to cause some irritation or breakouts so I always try to avoid them. Further, there are many nice plant extracts that have moisturizing, anti- oxidant and anti-inflammatory properties. All in all a promising ingredient list! Unfortunately, I don't have any pH strips to test the pH of the cleanser, but many of my blogger friends tested it and it appears to be between 5 and 5.5, the ideal pH for our skin. The product comes in a basic white squeeze tube. I find the design somewhat boring but its very hygienic and easy to use. You could make it more fun looking by using Cosrx stickers. Mine was in the shower the entire time, so I forgot to do that, but on my next tube you will definitely find Mr. Rx ..! When applied the gel turns slightly foamy depending on how much you use and how long you message it into your skin. It's not a foaming cleanser so I didn't expect the product to foam up, normally gel cleansers keep that gel like texture when applied. That was a pleasant surprise, I do like both gel and foam textures, but a foaming cleanser always feels gentler. I guess the Cosrx low pH cleanser is somewhat of a hybrid between a gel and foam, combined the good of both worlds. However, don't expect the gel to foam up like a real foaming cleanser, for that you would need a foam net. At first the smell really kind of bothered me, but its not strong so you might not even notice it. I found it slightly 'tea tree' like with a plastic hint ..? It was just weird but definitely not parfumish. As for now I don't really smell it anymore, I have even started to like the 'tea tree' like scent, I guess it just grew on me. My skin doesn't feel dry or over-cleaned with that squishy feeling that's often present after using a regular high pH cleanser. I use the cleanser as a second step product after an oil cleanser, to remove reaming dirt and oil. I also tried it as an alone standing cleanser and it is quit effective in removing make up. Look how clean the inside of my hand is, this is just after 10 seconds messaging. Still, as always there might be some traces left that are not visible to the naked eye so I always combine it with an oil cleanser and/of micellar water. My main issue with many cleansers is that they tend to irritate my skin causing redness, red bumps etc., leaving skin dry and acne prone. 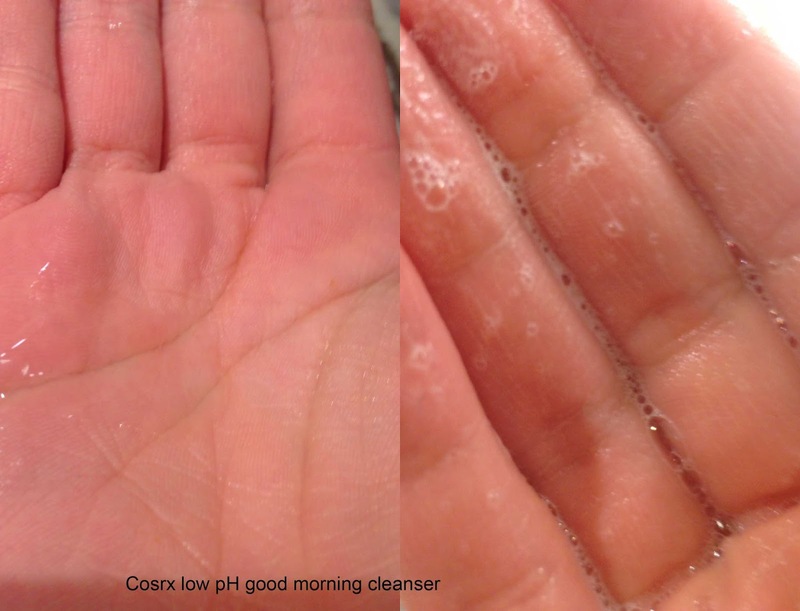 With the Cosrx Low pH cleanser I didn't experience any problems. It's difficult for me with my sensitive skin to find a decent cleanser with a good ingredient list and a low pH, so this products is totally a win for me. Considering the low price and the gentle formula I will be repurchasing...! 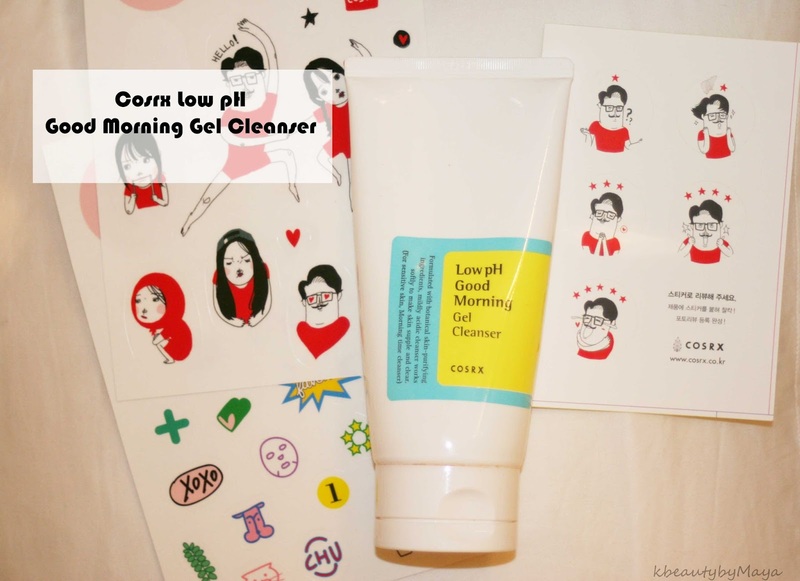 In general, I like everything about the Cosrx Low pH Good Morning Cleanser, with time the scent grew on me and the texture is nice - gel like that turns slightly foamy. The cleanser leaves my skin clean without stripped it of moisture. Product is suitable for all skin types but with it's low pH and ingredients I would say it's perfect for sensitive, for dry - dehydrated, and acne prone skin. *This post contains some affiliate links (with asterix), shopping with them will support the blog. I heard from other reviews that this cleanser can be quite drying and leave a tightening effect on the skin. Is this true? I have combination oily skin, so maybe this tightening effect is only on dry skin types..? However since its a low ph , it seems to be very gentle on skin. She likes the "tingly" feeling that the menthol gives her in that wash and I'm hoping tea tree will be enough to make her want to switch. She's incredibly stubborn. This will be much gentler on her skin, the menthol can be irritating.